Warning! This product requires the Aqua Relief System Hot/Cold Water Therapy Device in order to work! Diabetes often leads to peripheral vascular disease that inhibits a person's blood circulation. With this condition, there is a narrowing of the arteries that frequently leads to significantly decreased circulation.. Poor circulation contributes to diabetic hand problems by reducing the amount of oxygen and nutrition supplied to the skin and other tissue, causing injuries to heal poorly. Poor circulation can also lead to swelling and dryness of the hand. Preventing hand complications is more critical for the diabetic patient because poor circulation impairs the healing process and can lead to ulcers, infection, and other serious hand conditions. Hot water therapy system can provide cool water for 6-8 hours or Hot with no-limits. 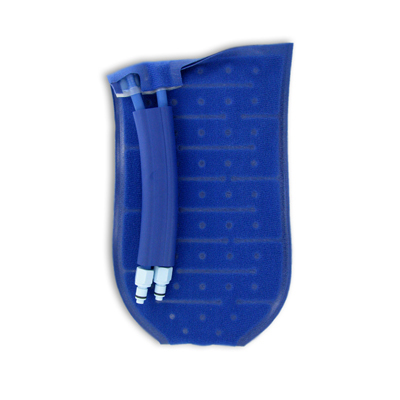 Aqua Relief System has patented designed wraps that are fitted around the feet and hands. A diabetic glove is worn first (not included), and then a water bladder fits snuggly around your hands to provide a custom like fit. 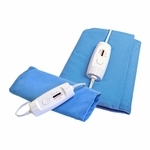 The hot water therapy unit also has therapy pads (additional pads not included), that fit around any part of the body through the use of a compression wrap. Knee, shoulders, ankles, and backs, all can be treated by either hot (dry or moist) or cold water therapy. The natural therapy aqua relief system delivers pain relief to achy joints, or muscles due to arthritic pain , or carpal tunnel syndrome or many other nerve pain conditions. Hot therapy aqua relief system is a versatile hot/cold pack that will help for both systemic pain conditions as well as part specific pain conditions (knee, back, wrist, shoulder, etc.) A setting of 120° F is particularly useful to provide deep penetrating therapeutic heat therapy. 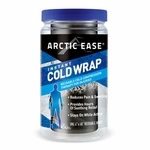 The ARS hot cold therapy system is adjustable from 32° F and 120° F ·allowing for a therapeutic advantage. Either low pleasant heat can be set ·or high penetrating heat. Safe, controlled, and time-saving to both the patient and the care giver. 7-8 hrs of continuous cold therapy. All body parts can be treated. Custom booties and mitts allow for treatment of circulatory and pain problems in the hands and feet. The aqua-relief hot therapy system can be used for the following applications: back, knee, hip, foot and ankle, hand and wrist, shoulder, elbow, chest, breast, face and jaw, head, neck, feet, hands, and other specific applications.